Baked eggs are amazing. 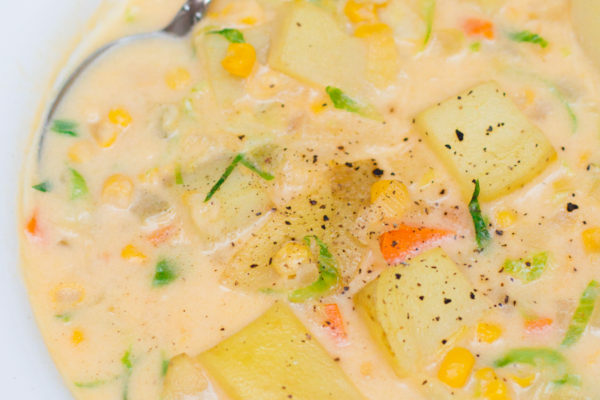 Eggs baked inside other foods are even better! 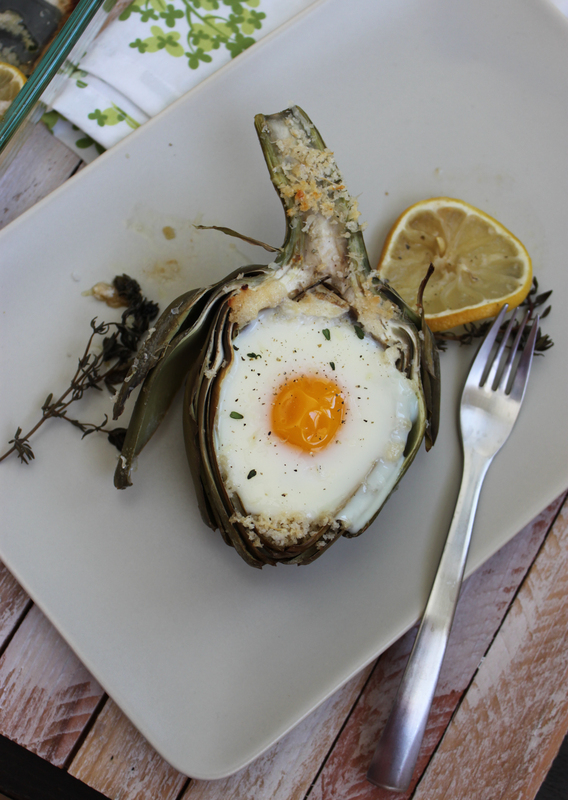 This artichoke baked egg recipe is an easy way to gourmet up your next brunch or breakfast. 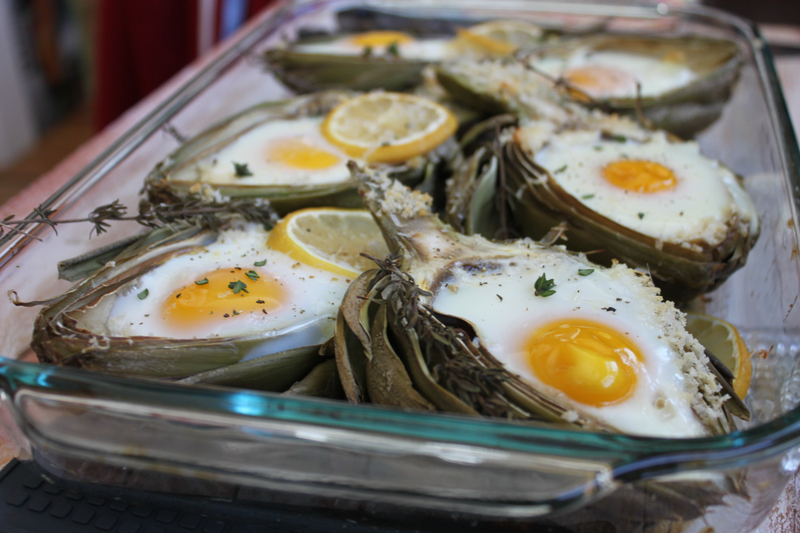 Choose 3 artichokes that are about 4 inches wide. 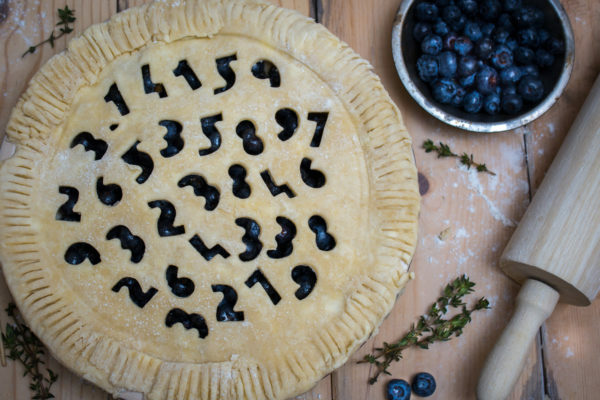 This way they will tightly fit into your 9″ baking dish. Trim the end of the choke and peel the stem, then half it length-wise. Half one of the 2 lemons and juice it into a large mixing bowl. Then fill that bowl with ice water. Remove the hairy choke. 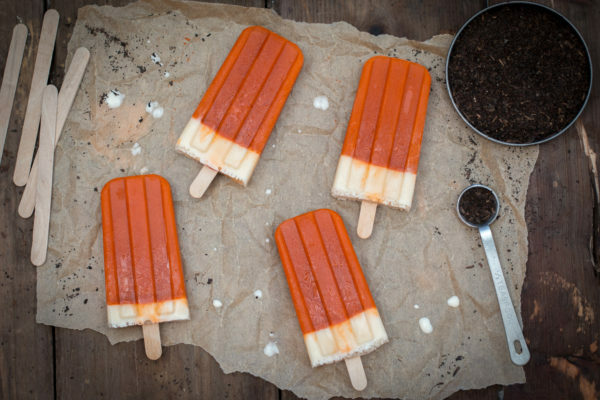 You cannot eat this, it is really gross. 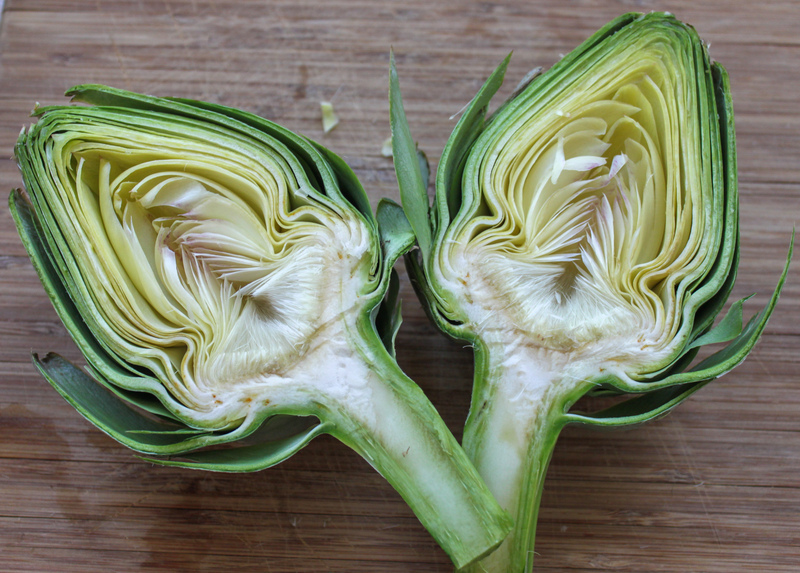 Artichokes are almost color coded so you know which part to remove. I use a pearing knife to cut the choke out and then remove any excess with a small spoon. As a side note, when artichokes bloom, the choke turns this gorgeous indigo color and is simply lovely. But here it is evil and must be destroyed! 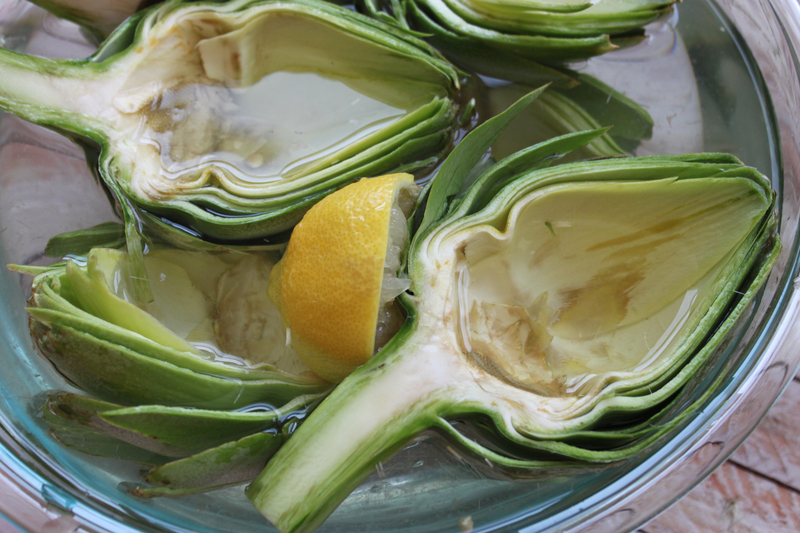 Place each cleaned artichoke into the lemon water. 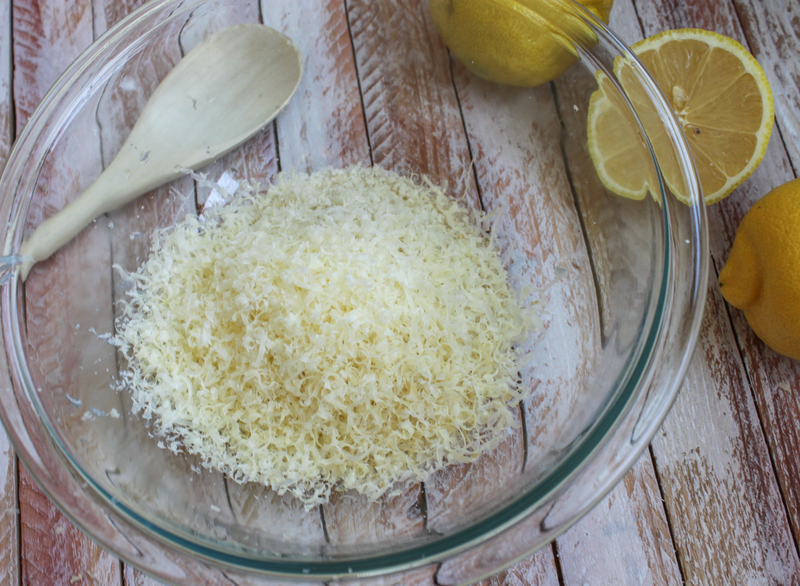 Add 1/2 cup of Panko bread crumbs, 1/4 cup of Parmesan cheese and juice from the other lemon half to a small mixing bowl and mix well. 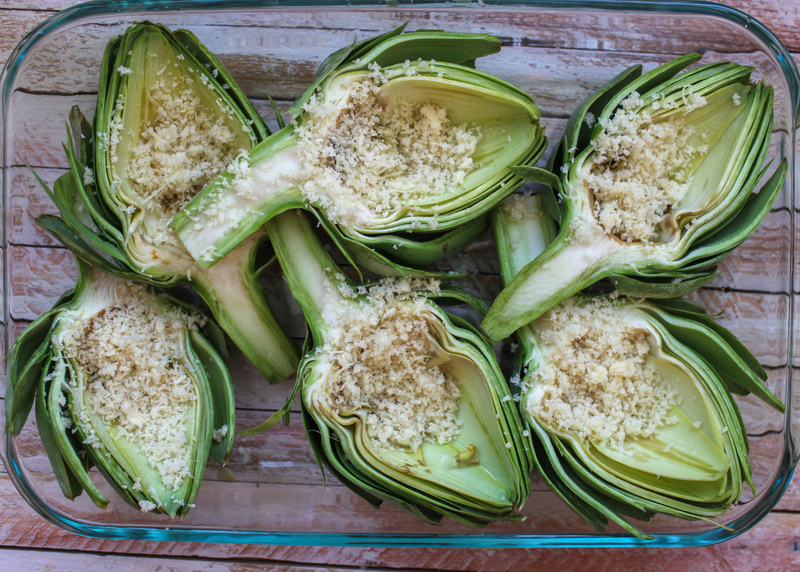 Place the artichoke halves sliced-side up in a 9-by-13-inch baking dish, and then fill the cups with some of the bread crumb mix. Add 6 tablespoons of olive oil to the baking dish. 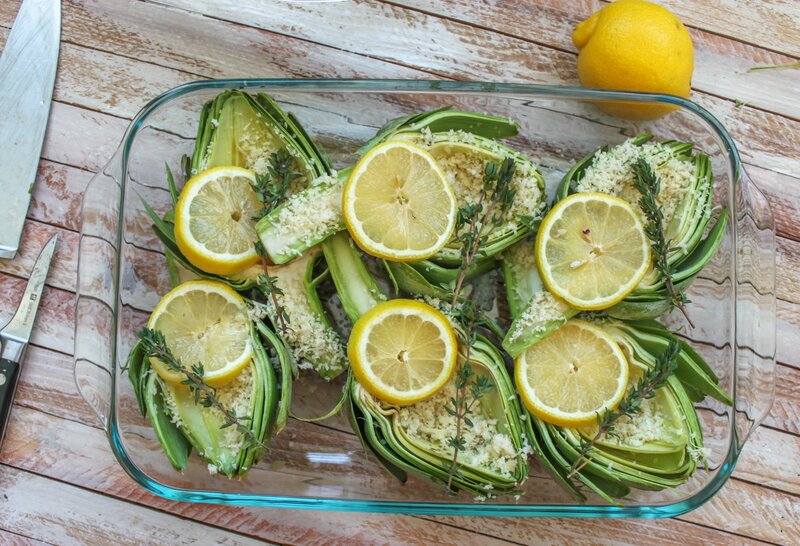 Place the lemon slices and 6 sprigs of fresh thyme on top and cover with foil. 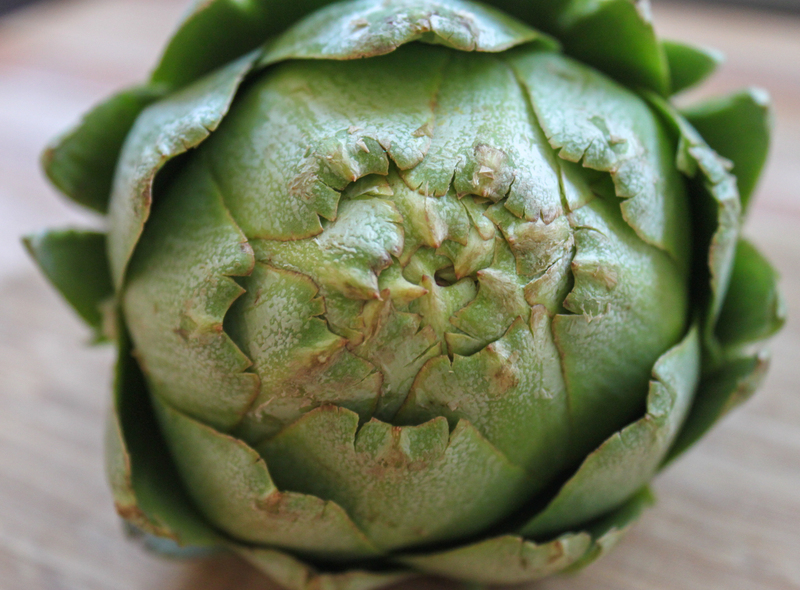 Bake at 375 degrees F for 50 minutes or until the choke is tender, so you can easily pierce a fork into the thickest part of the artichoke heart. 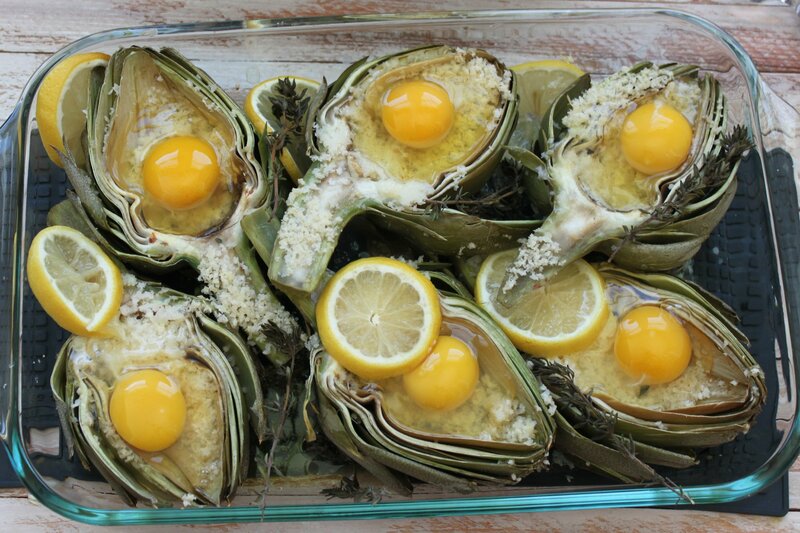 But be sure to not overcook the chokes as we still need to cook them with the eggs. Remove from the oven, removing the foil. 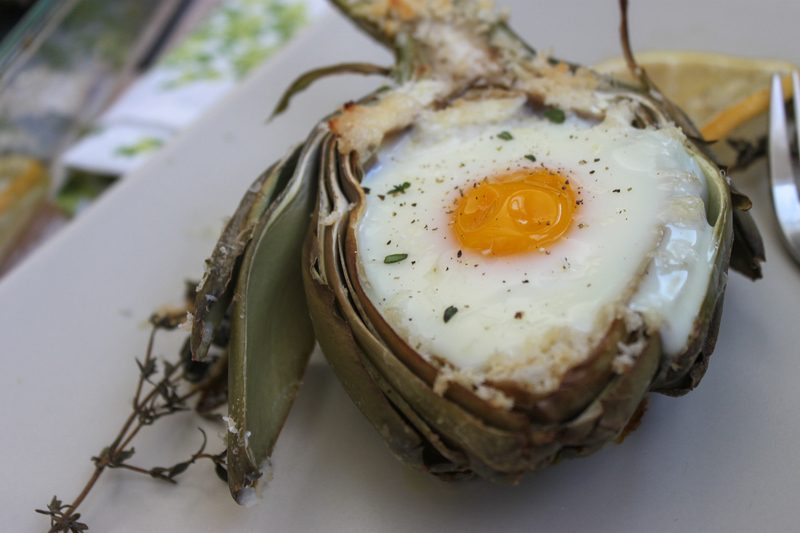 Crack an egg into each cup, making sure the artichokes halves are level first. If you don’t do this, your egg will just pour into the baking dish. Bake uncovered for about 15 minutes, or until the eggs have set. Ideally the whites should be fully cooked but the yolks still runny. Finish with more cheese, salt and fresh cracked pepper. Enjoy!